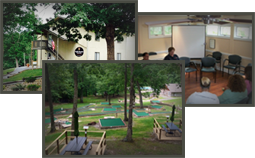 English Mountain Recovery is a nationally recognized 36-bed residential treatment facility located on a serene 27-acre campus in the heart of the Smoky Mountains in East Tennessee. For more than 10 years, the dedicated clinical team at English Mountain Recovery has provided life-changing care to people suffering from alcoholism, drug abuse and other addictive disorders as well as their families. CARF-accredited service providers have applied CARF’s comprehensive set of standards for quality to their business and service delivery practices. Recovering from alcohol and drug addiction requires individual courage and the support of those who understand what it takes to begin and maintain recovery. And English Mountain Recovery is here to help. To learn more about our program for you or someone you love, call (877) 459-8595 or inquire online.